Warner Bros Entertainment and MGM Studios have partnered to invest significantly in the social and mobile gaming company Kabam. 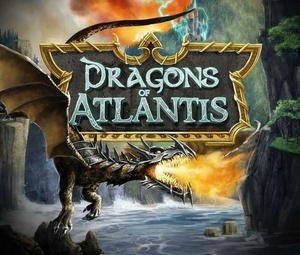 Kabam is best known for its mobile strategy game "Kingdoms of Camelot" and its MMORPG "Dragons of Atlantis." The company was founded in 2006 and focuses on "mid-core" games, a step above games like "FarmVille" but obviously below games like "Call of Duty." Execs from each studio will join as board members for the private company. Each studio has been moving into digital and gaming worlds over the years, as a way to supplement movie revenues. Hollywood, proving once again how old and out of touch they are. I'm curious how one can start out to make a "mid-core" game. Do you go into it saying, "I'm going to make a game that is at least better than Bejeweled, but I'm not going to make it very good. I'll just stop before I make a really good game." I'm curious how one can start out to make a "mid-core" game. I think if this is the B.S. the movie companies are gonna do, it should really read "as the movie companies look for ways to spend movie revenues..."
soulds to me like movie studios found out there is money making involved in computer games and wanna cash in.